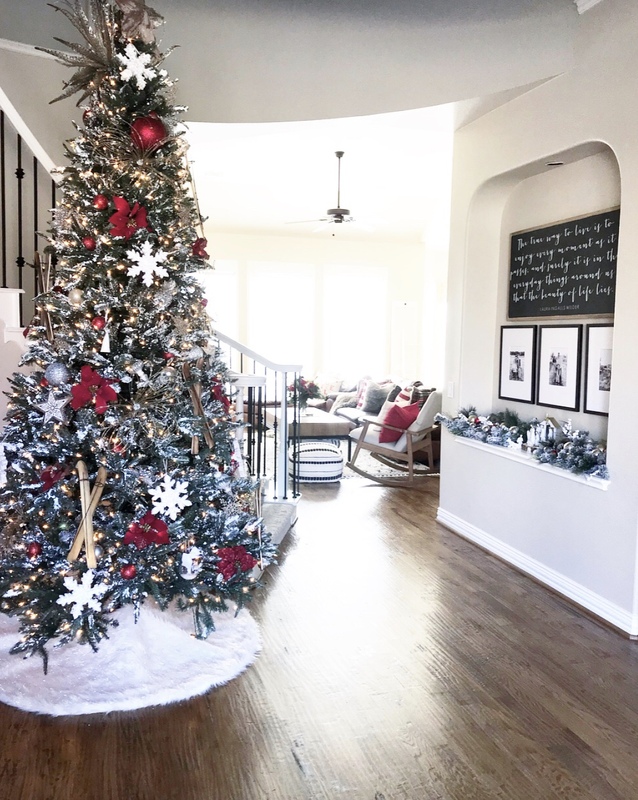 Thanks for joining me today for a little holiday home tour…..it’s the most wonderful time of the year, and BY FAR my favorite season for decorating my home! 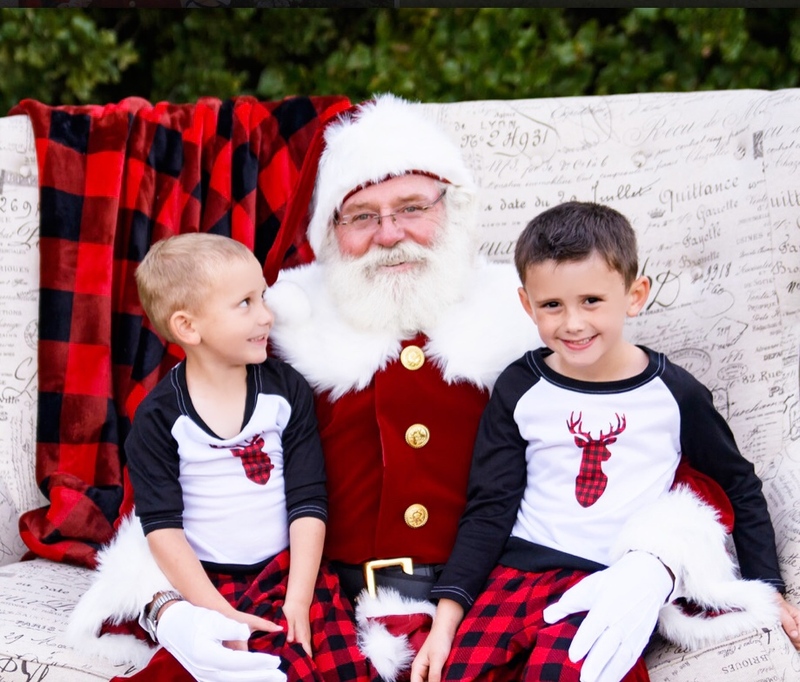 My boys are six and three and are at the age where everything about this season is so magical! I just LOVE it! 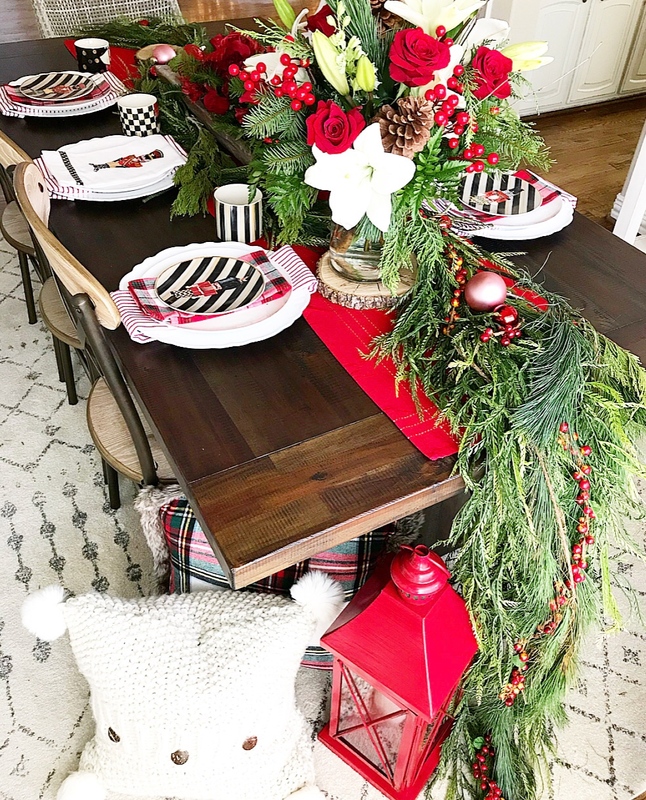 If you are like me, I always LOVE to see how people decorate their homes for Christmas, so today is is extra fun because I’m joining some talented ladies who are also sharing how they decorate for the holidays! Thank you Carla at Oak Hill Farms for inviting me! 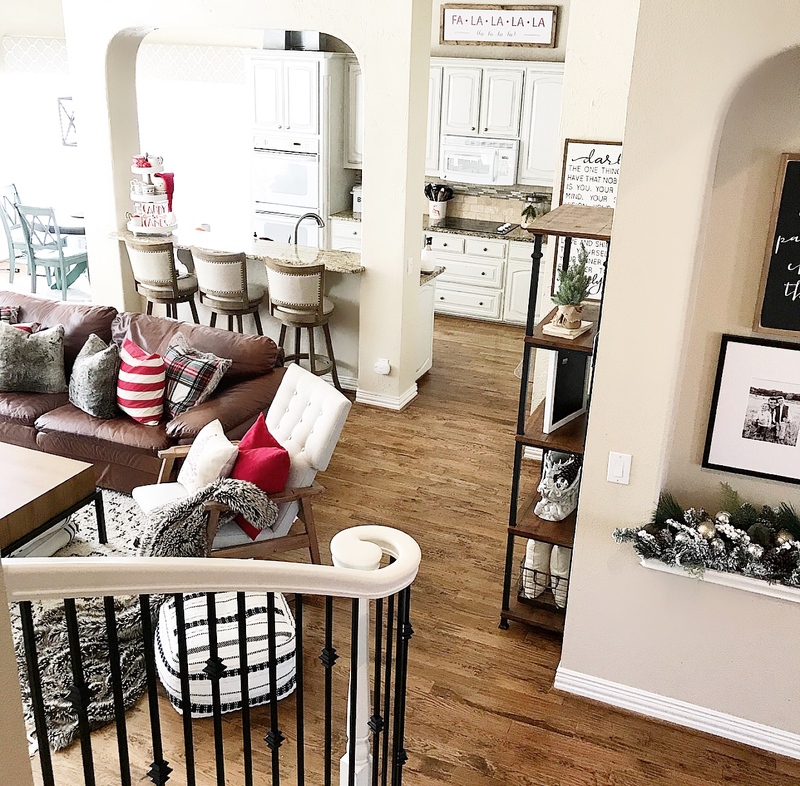 Be sure to take a look at their homes linked at the bottom of the post for inspiration! 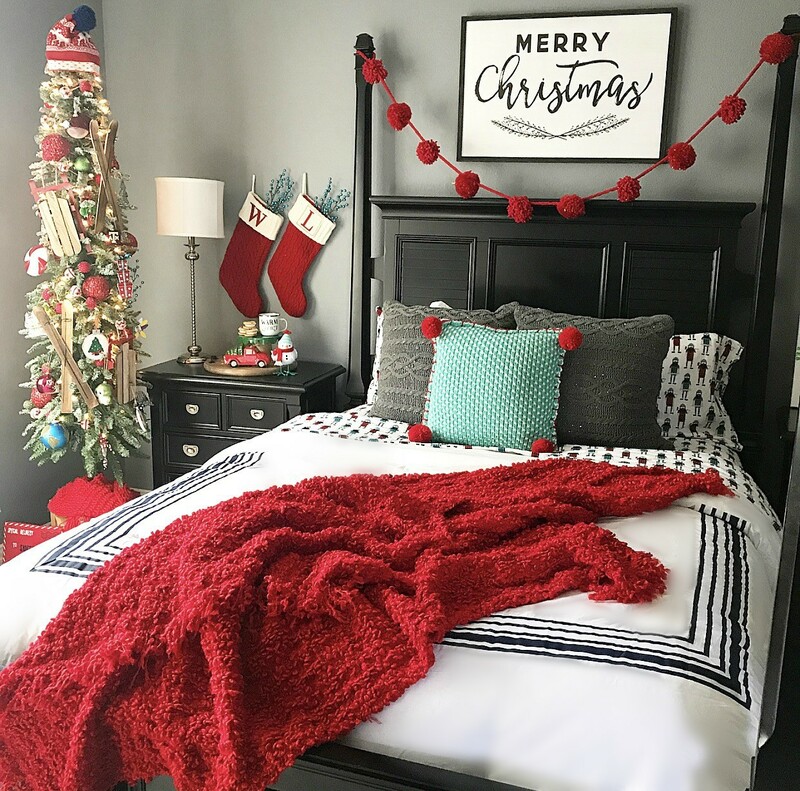 I KNOW they will leave you feeling a little extra Christmas cheer! Come on in! 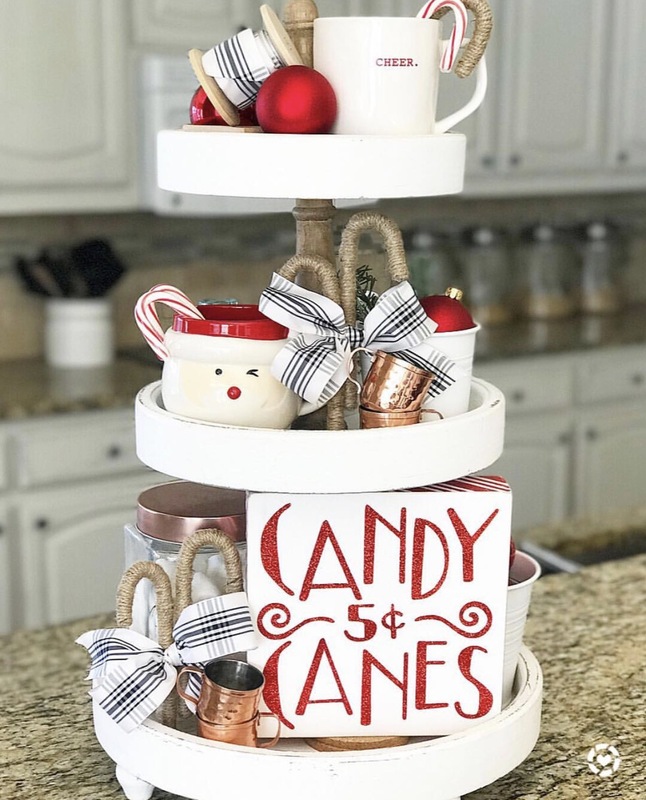 Let me grab you a hot cocoa or a peppermint coffee….maybe a gingerbread cookie? Michael Buble’s Christmas album is playing in the background, and we are in the Christmas spirit! This is the view when you walk in my front door! 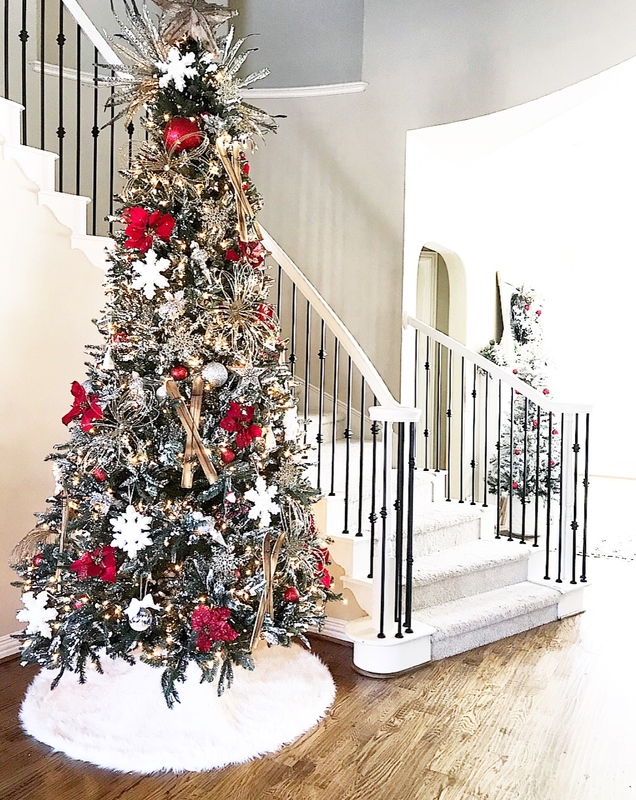 When we first looked at this house I immediately thought how much I would love to put a huge tree right in the curve of the staircase! We’ve made a lot of changes to this house since moving in ten years ago, but this tree has been with us through them all! She also got a bit of a makeover last year when I used Aunt Cathy’s DY flocking method! I was so happy that it held up, and I only had to touch up a few spots when we pulled her out of the boxes for this Christmas! You can find the DIY flocking tutorial here. This spot is across from our tree. I was looking for a small nativity scene to put here and loved this one. 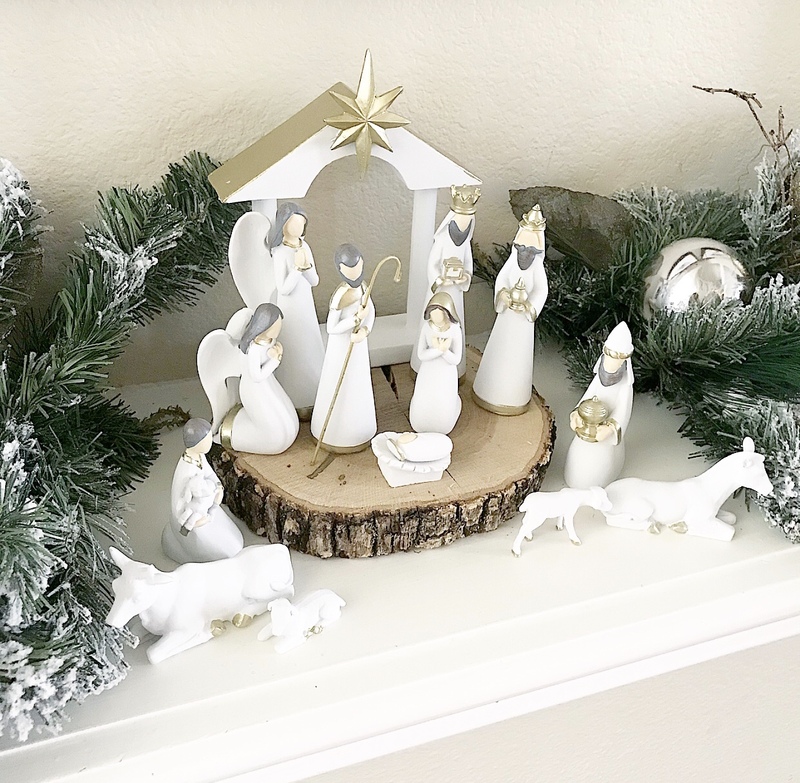 I love the visual reminder of the true meaning of this season and the simple, modern look of this set. 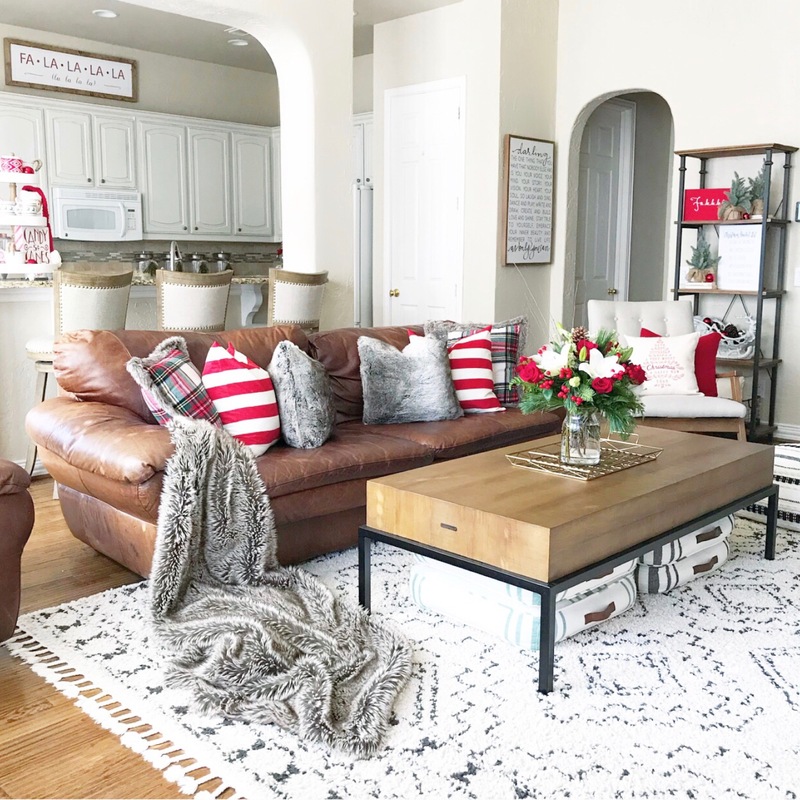 As you come into our living room I always just want this space to feel cozy and inviting. Two little boys live here so it is rarely clean, but it is the scene for lot of pillow forts, sword fights and after school snack dates. 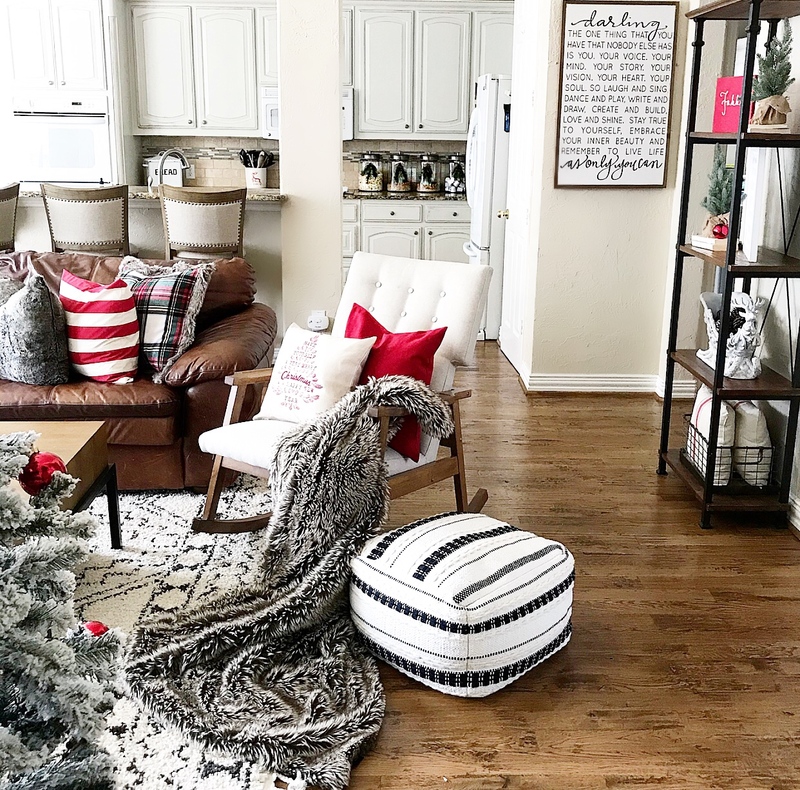 I am actually allergic to pine….BOO….so we can never have a real Christmas tree, but I love adding little touches of it here and there! I tied these with jute and ribbon to our large jars on our kitchen counter. I also love mixing patterns! 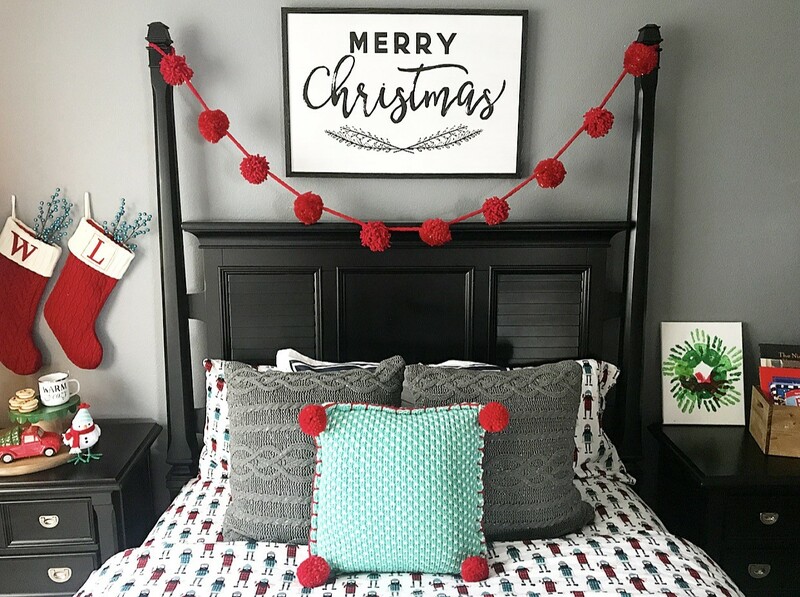 I am usually a more neutral home decor girl, but at Christmas, give me ALL THE RED! 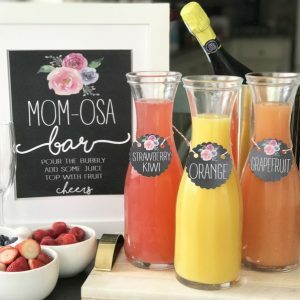 This tiered tray on our bar is a favorite of mine to decorate each season! My mother-in-law helped me decorate my mantel this year when they were in town for Thanksgiving! 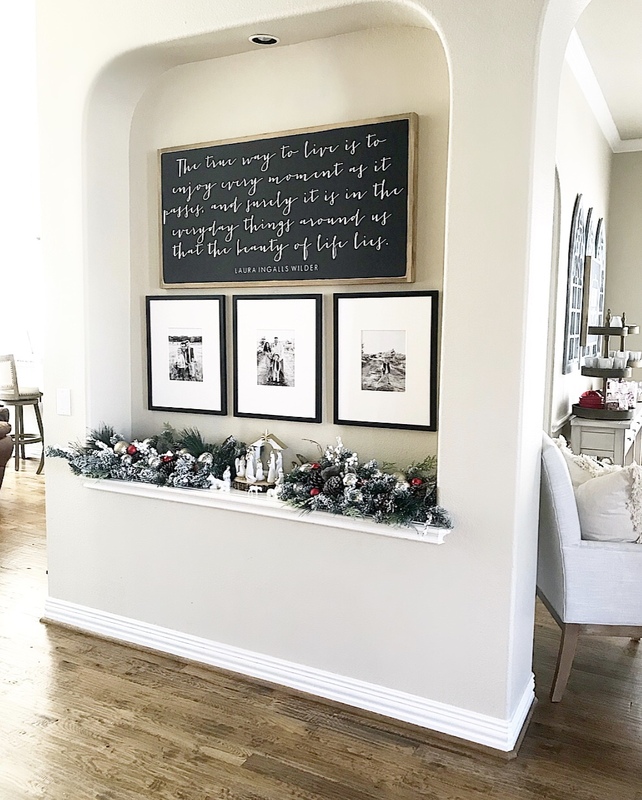 We used wallpaper to cover my large chalkboard and hung this wreath in front of it! It is also pre-lit so I love the pretty glow it gives this room at night! I am still playing around with what I want to do on this table, but for now, this fresh bouquet is the star! 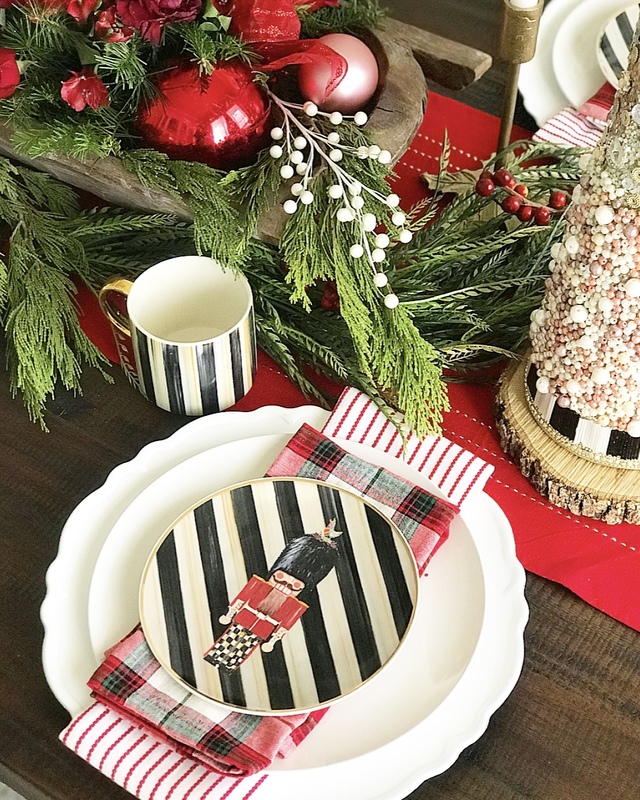 Again, pattern mixing is always fun, so I loved this mix of plaid and stripes with these nutcracker plates from Mackenzie-Child’s. I added some fresh greenery in here too which makes it smell amazing! 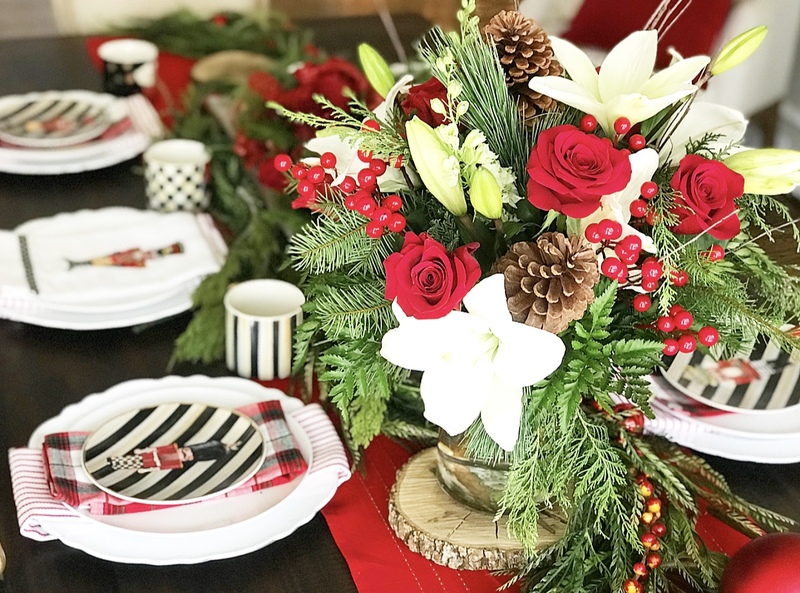 This smaller centerpiece is probably the more practical choice so people can see and talk across the table…but if you know me, I’ll probably keep tweaking this space until New Year’s! haha! Last year was the first time we decorated Logan’s room, and he absolutely loved it! 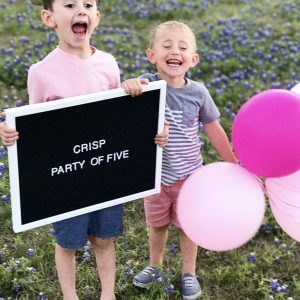 I’ll be sharing Will’s room soon too! I hope he spends this month here dreaming of all things Christmas! More than anything I hope you spend this season making memories, giving to others and loving your people well! It truly is the most wonderful time of the year! 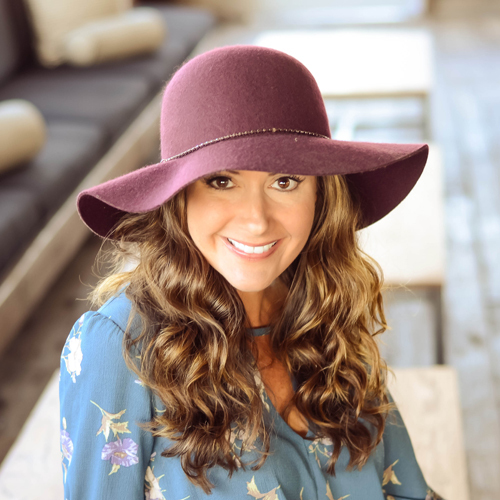 Be sure to check out the homes of these talented ladies! I KNOW they will leave you inspired! 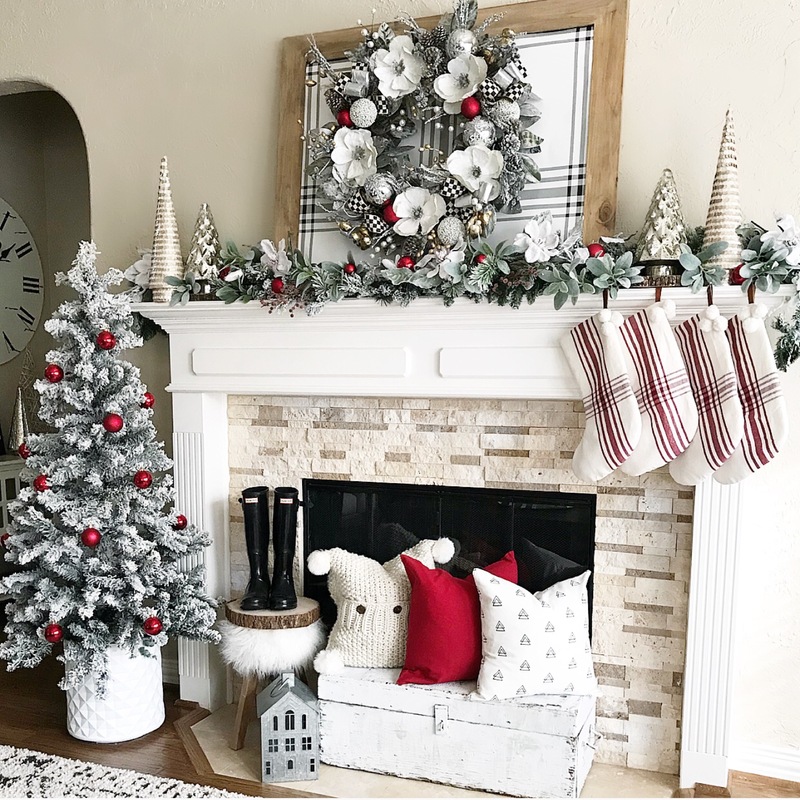 Your Christmas decor is stunning! 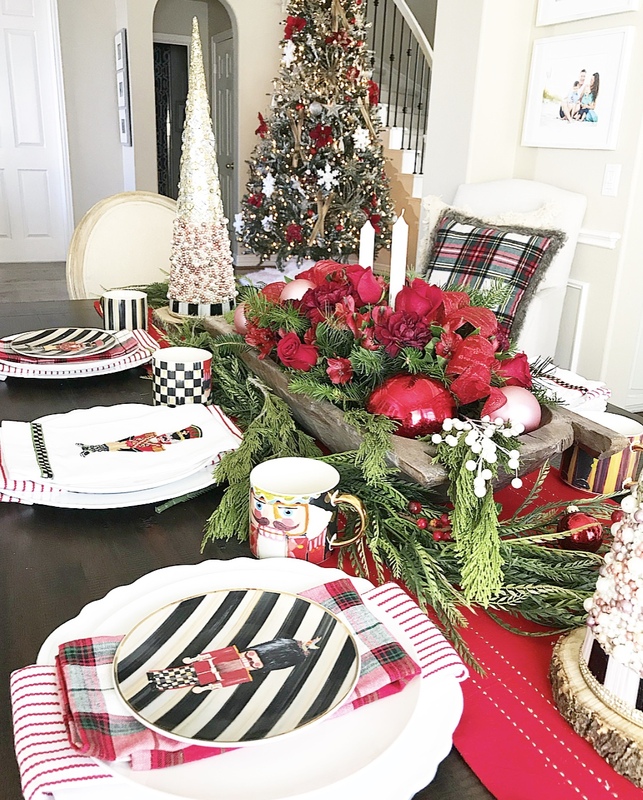 I always love your tablescapes! 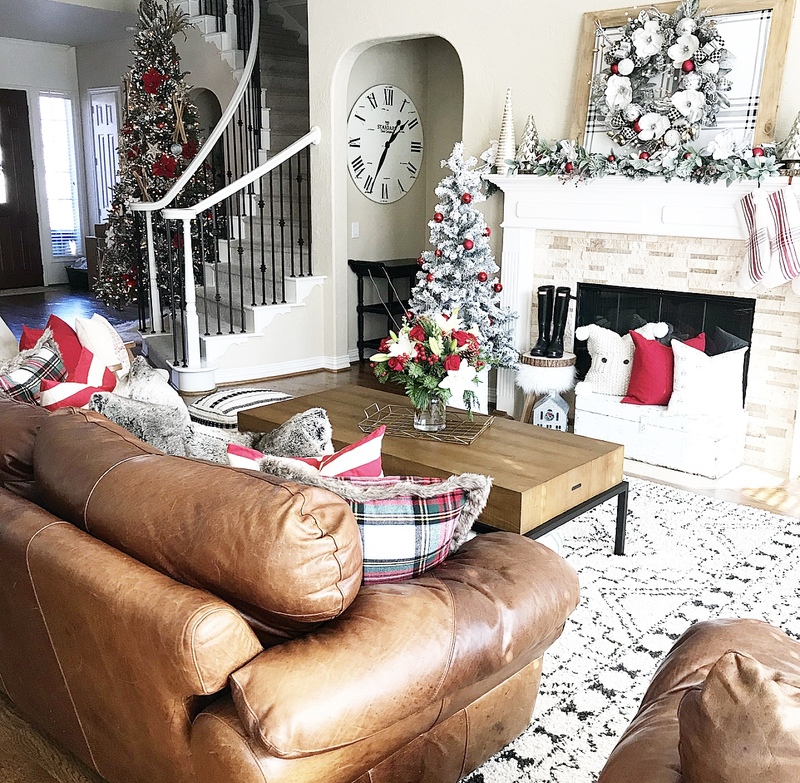 Your living room looks so cozy! Happy to be touring with you! Oh my goodness!! 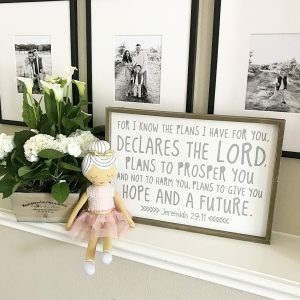 Your decor is stunning! Between the entry way, table scape and flow of the patterns, I love it all!! So happy to be touring with you! Thank you sweet Ashlee! Loved being on this tour with you! Wow your home is beautiful! Every space is so creatively styled and cozy! I’m so happy to be included with this talented group! Happy Holidays to you & your family! I feel the same about you Becky! Thank you SO much! 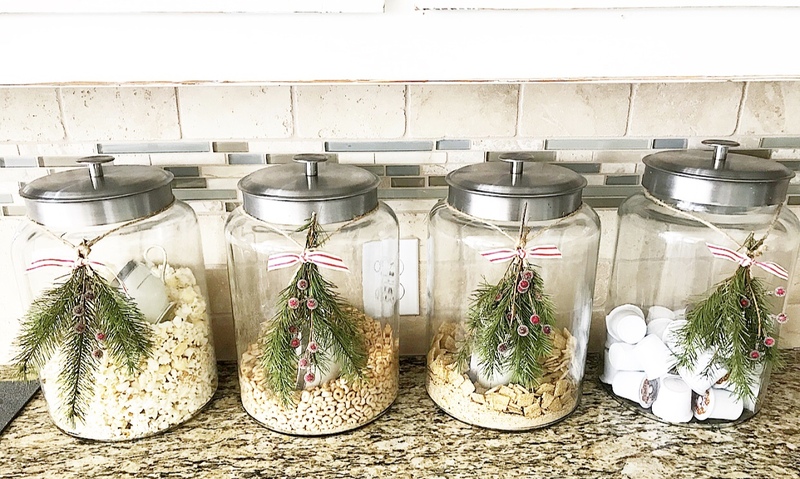 I love how you made the jar decor in your kitchen! They look like little Christmas trees in there! Such a beautiful home Bethany! Thank you sweet Sarah! Was honored to be on this tour with you!